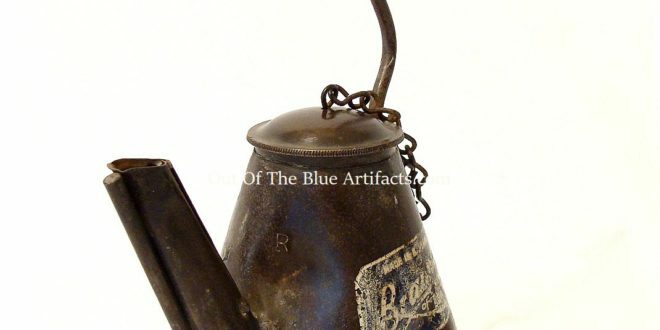 Brammer Oil Lamp a Teapot style. 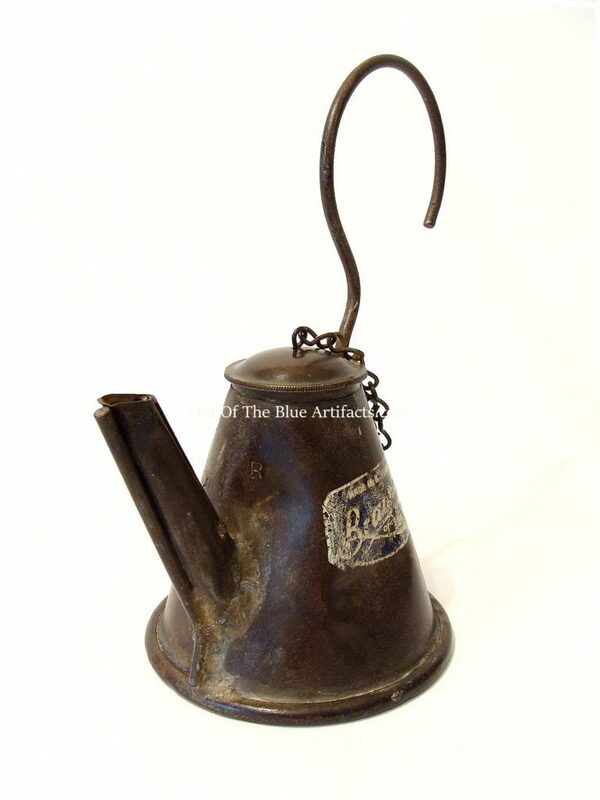 It has a reinforced spout and a threaded top to the base and a large hanging hook. Made in Leeds England. Age unknown. Size 9″ x 4 1/2″ inches.